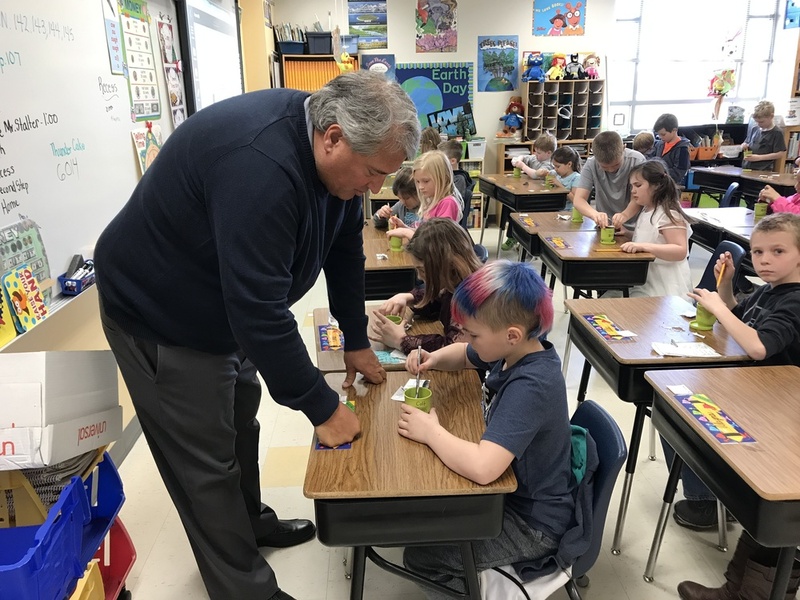 Eric Stalter of Fisher National Bank came to work with our 2nd Graders on an Earth Day activity. Students planted flowers in their own individual planters which were purchased by the bank. Fisher National Bank has supported this activity for several years. Thank you Mr. Stalter.